In Part 1 I presented what I described as an ‘educational autobiography’, focussing on key stages of my own education and relevant employment, and taking particular note of the intersection of this career with stages in the development of computer technology. I also included a detailed summary of my MA dissertation in Philosophy, since I believe that the topics with which I was concerned remain relevant to the theme of these blog posts. If, as Thompson claimed in 1991, the ‘mediazation of modern culture’ has expanded the scope for the operation of ideology, then the subsequent development of the Internet is surely relevant to this claim, either tending to support it or to refute it. In addition, there is an ambivalent relationship between education and ideology: to what extent does education reinforce a dominant ideology, and to what extent does it undermine it? These are questions I will return to in a later post, but first I would like to take a detour through one particular episode in my experience of the Internet. This episode stands as a counterpoint to many of the vaunted claims being made on behalf of this evolving technology. In 2006, at the same time that my eyes were being opened to the realities of educational assessment in the new millennium, I was also becoming familiar with one of the most prominent players of the so-called Web 2.0 era: Wikipedia. This online encyclopedia had been in existence for five years, but I had not given it much attention. The students I was tutoring in 2006 were warned that Wikipedia was not a reliable source of information, but at first I didn’t understand why this was the case. It was only when another tutor was bragging about some fun-poking ‘vandalism’ that he had perpetrated on one of the Wikipedia articles that I began to grasp the ‘wiki’ concept of user-generated content. I decided to investigate. To begin with I looked at an article on a subject that I had engaged with in the 1990s. Holotropic Breathwork (HB) is a trademarked practice that was developed and marketed as a therapeutic procedure by psychiatrist, Dr Stanislav Grof, after a US (and ultimately international) ban on LSD experimentation in the late 1960s. Essentially it is a form of extreme hyperventilation that, like LSD, induces alterations in brain chemistry with unpredictable results. Grof and his wife, Christina, had introduced HB into Esalen, a significant New Age centre in California, during the 1970s and 80s. 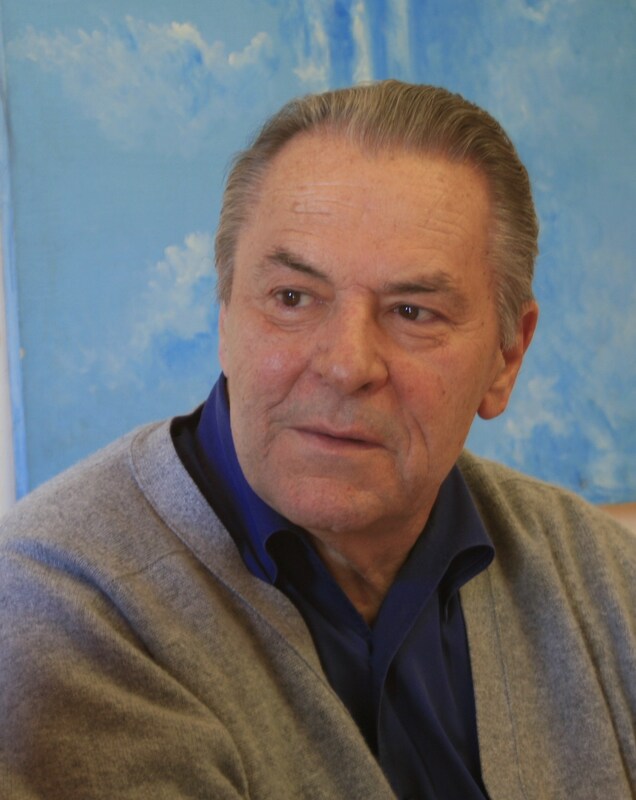 I had read some of Grof’s books in the 1990s, and I was also aware that there had been considerable controversy surrounding an attempt to introduce the practice into the Findhorn Foundation, another significant New Age centre in the far north of Scotland. I had been in correspondence with some of the medical authorities in Scotland. The most prominent of these, at Edinburgh University, wrote a report that caused the Scottish Charities Office to recommend (in 1993) that the Foundation should cancel the HB programme. I had also been in contact with a renowned psychiatrist in Dublin who had written several articles on the topic, as well as being a practitioner. Reading the Wikipedia article, however, one would have remained in ignorance of this background. It read more like an advertisement than an encyclopedia article. There were no references to the precautionary statements to be found in Grof’s own books. Since Wikipedia encourages the improvement of articles through collaborative editing, I thought that I could make a contribution in this case. Adhering to the foundational Five Pillars and the various policies and guidelines, beginning on 13 July I added two new sections to the article, first one on ‘Criticism’ and later a ‘Reactions and Contraindications’ section. At this stage I was editing under a pseudonym (The Communicator), since that seemed to be the common practice among Wikipedia editors. My efforts caused considerable consternation among the existing HB editors, and resulted in a small ‘edit war’ that ultimately led to a request for mediation. My additions were all written from a neutral point of view (NPOV) and were fully sourced, so they could not be faulted on those scores. The main complaint was that I had ‘unbalanced’ the article by adding so much ‘negative’ material. I conceded that the criticism section was large in the context of the existing article, but pointed out that Wikipedia articles are constantly evolving and there was nothing to stop other editors from adding more material to balance out the criticism section. There was very little about the history of Grof’s development of HB, for example, or the ‘religious’ context in which he embedded it. Such information would have balanced the article as well as making it more informative. This was my introduction to Wikipedia editing, and I had jumped in at the deep end. I realised very quickly that it was not uncommon for editors to have a sense of ownership over articles. This was particularly true when they edited articles on subjects about which they felt strongly. In addition, they might have devoted many hours to writing and editing their articles. They would not take kindly to a newcomer trying to alter this work, and especially if the newcomer did not share their partisan position. Of course, Wikipedia had evolved the ‘Five Pillars,’ together with policies and guidelines, for precisely these reasons, and officially the encyclopedia discouraged too strong a sense of ownership, which was clearly detrimental to NPOV. Less charitably perhaps, I suspected that the real motive for the reaction was that the new information was a source of embarrassment for the existing editors, who admitted to being connected with HB in one way or another. If I was right about this, then it was clear that the Wikipedia guidelines could be employed to eliminate (or at least minimize) undesirable content. It would be a case of the devil citing Scripture for his own purpose. In the case of HB, some of the partisan editors were more reasonable than others, and one of them edited the article to retain the gist of my additions, albeit in an attenuated form. What I didn’t realise, however, was that the conflict experienced in editing this article was really a minor skirmish, and I was about to be embroiled in a much broader conflict, the ramifications of which would extend beyond Wikipedia. On 21 November 2006, one of the partisan HB editors (Jablett) posted a comment on the article’s ‘talk’ (i.e. discussion) page, questioning the reliability of one of the sources I had used (the archive of the discussion is here). The source in question was Kevin R. D. Shepherd, an author I had become familiar with in the late 1980s. Shepherd was an independent writer with no academic or sectarian affiliations. His research interests were broad, crossing both disciplinary and cultural boundaries. Although he often described himself as an amateur (albeit a ‘serious’ one), I had found his books to be very scholarly, and often with an interesting perspective (for my reviews of some of his books, see Reflections). One aspect of his writing was an informative criticism of various ‘New Age’ trends, including practices such as Holotropic Breathwork. This was why I had cited an appendix (‘On Holotropic Breathwork’) in his Minds and Sociocultures: An Analysis of Religious and Dissenting Movements, Volume One: Zoroastrianism and the Indian Religions (1995). Unknown to me at the time, however, another book by Shepherd was at the centre of a Wikipedia controversy relating to Indian guru Sathya Sai Baba (SSB). 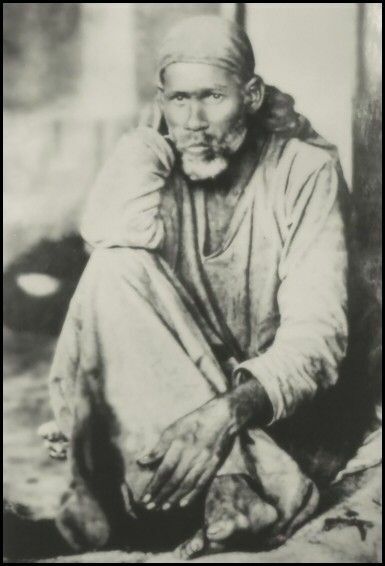 In 2005 Shepherd had published Investigating the Sai Baba Movement: A Clarification of Misrepresented Saints and Opportunism. The main subjects of the book were Sai Baba of Shirdi, Upasni Maharaj of Sakori and Meher Baba of Ahmednagar, three religious figures of Maharashtra who had been the subject of earlier treatments by Shepherd. Shepherd also supplied three appendices, documenting the case against Sathya Sai Baba, employing reports by ex-devotees of the latter. Sathya Sai Baba had been accused of fraud, sexual abuse, and even collusion in murder. The allegations were strong, and many disillusioned followers left the Sathya Sai movement. Some of them had published the evidence and allegations on the Internet, and the phenomenon as a whole had attracted major media attention. On 14 June 2006, the Wikipedia editor Andries approvingly referred to Shepherd’s annotated book Investigating the Sai Baba Movement. The full name of that editor was Andries Krugers Dagneaux; he was an ex-devotee of Sathya Sai, and very familiar with events in India. Shepherd’s book appeared in the bibliography of a Wikipedia article about Robert C. Priddy, a retired academic philosopher and sociologist, and formerly the national leader of the Sathya Sai Baba Organisation in Norway. The Priddy article became the subject of intensive attack from another editor who used the pseudonym of SSS108. His real name was Gerald Joe Moreno. Like Andries, he was an editor of the Sathya Sai Baba article, but in contrast, a fervent supporter of Sathya Sai and an obsessive opponent of ex-devotee Robert Priddy. Moreno, of New Mexico, pitched himself against the Priddy article, attempting to have this deleted. On 9 October 2006, he created an idiosyncratic User page with the title User:SSS108/Kevin Shepherd. Moreno disputed a Wikipedia quote referring to Shepherd, whose book was included in the Priddy article he detested. The editorial quote (associated with Andries) mentioned Priddy and the infamous ‘bedroom murders’ at the ashram of Sathya Sai. Moreno regarded this quote as a major obstruction to his apologist cause, especially as the quote was so closely related to Shepherd’s book and the Priddy article, which Andries supported. The basic reasoning involved here amounted to: Shepherd’s book approvingly referenced Priddy, and featured in the Priddy article — therefore Shepherd and his book had to be eliminated. There was an underlying sectarian motivation to the User page of SSS108, who called Shepherd’s reliability into question, on the basis that he was a self-publisher and allegedly unknown. Moreno did not, of course, declare his apologist orientation. His User page appeared on Google and caused widespread confusions among persons with no knowledge of the underlying situation. Moreno almost succeeded in eliminating the Priddy article in the ideological struggle that followed between him and Andries (repeated attempts were made to delete this article, which survived for several years after, until a more general deletionist pogrom became pervasive, eliminating thousands of articles). Supporters of Holotropic Breathwork seized upon the SSS108 User page as an excuse to deny Shepherd’s legitimate criticism of Grof therapy. These pseudonymous editors were typical of the partisan mindset so often to be found on Wikipedia, a glaring contradiction to NPOV. They imagined that SSS108 was an authority on matters he referred to. The confusion was such that an editor calling himself Minehunter even accused me of being Stephen Castro. This was because I had cited (in my criticism section to the HB article) Castro’s book Hypocrisy and Dissent within the Findhorn Foundation (1996), which included a very critical chapter on HB. Minehunter defended Jablett’s call for removal of the Shepherd reference at the HB article, and on 23 November, on the basis of Moreno ruse, he misleadingly described Investigating the Sai Baba Movement as a ‘vanity publication’. He knew nothing about that book, and had not read it. The references from opponents were based entirely upon their preference to exclude criticism of their favoured subject. The situation was laughable, and yet at the same time tragic, because the false status of pseudonymous bias could so easily gain ascendancy on Wikipedia. The Shepherd reference at the HB page related to an annotated book a thousand pages in length. The Shepherd reference on the Priddy page related to an annotated book over three hundred pages in length. I defended my editing in general, and my inclusion of Shepherd in particular. I was appalled by the damaging lore created by pseudonymous editors, who masqueraded under the auspices of NPOV. Contrary to hostile insinuations, Shepherd was not unknown or insignificant. For instance, in 2006 he circulated an open letter to hundreds of eminent persons, and received replies from such British political celebrities as David Cameron and Sir Menzies Campbell. In 2006, I was supported on Wikipedia by an editor calling himself Jedermann, whom I later discovered was a British academic. On both the HB discussion page and the SSS108 User page, Jedermann contested the shallow attempt to undermine Shepherd’s credibility, and provided several academic citations of the latter’s books. In 2007, Jedermann left Wikipedia in disgust at the low editorial standards in general evidence. Shepherd himself was unaware of the attack by Moreno, not being a computer user at that time (he evidently still has a low opinion of internet influence, see ‘Internet Problems and Wikipedia’, which is part of his ‘Autobiographical Reflections’). I myself was at first only aware of the discussion at the HB article. 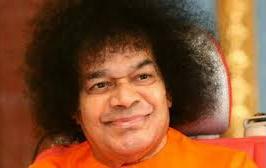 At this time, I did not realise that editor SSS108 was a strident online defender of Sathya Sai Baba, and one who had gained notoriety for his intemperate attacks on the disaffected ex-devotees. 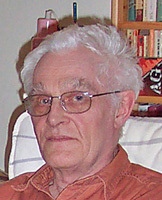 The latter included his arch-opponent Robert Priddy, whose industrious online output eventually created an extensive and major website detailing the critique of Sathya Sai Baba (http://www.saibaba-x.org.uk — see also Priddy’s blog). 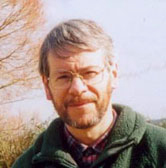 Other prominent ex-devotees were Brian Steel and Barry Pittard, former lecturer in English at the Sathya Sai College in India. They and many other ex-devotees were web victims of Moreno (the number of victims was eventually estimated at over a hundred). Moreno established a network of attack sites and libellous blogs, the sole purpose of which was to discredit the allegations made against Sathya Sai Baba. Moreno himself had been a devotee, and referred to a personal interview with the guru. Yet he claimed that he was no longer a devotee, which many did not find convincing in view of his strident defence tactics. Moreno claimed to be an expert on what he called the Sai Controversy. His method was to mock and deride opponents, whom he called Anti-Sai, and to provide very one-sided descriptions of events from an avowed Pro-Sai perspective (see ‘Gerald Joe Moreno and Sai Critics’). Shepherd refers to Moreno as a cyberstalker, indicating the forms of harassment involved (see ‘Cult Campaign of Equalizer’). Priddy is also explicit in his counter to Moreno invective. These two are the major sources on a rather fantastic web career of ‘Pro-Sai’ attack during the years 2004–2010, and inseparably associated with Wikipedia. Unlike Priddy and others, Shepherd was not an ex-devotee of Sathya Sai Baba. The guru’s reincarnation claim made him relevant to Shepherd’s book of 2005. When Andries supported this scholarly book, Moreno (SSS108) rejected it, using the pretext of self-publication, which he was able to invoke because of acutely generalizing Wikipedia guidelines. The conflict between Andries and SSS108 came to involve other editors, and ended in an arbitration process. At the conclusion of this event in March 2007, Moreno was described by a Wikipedia administrator as ‘aggressive, abusive, and confrontational’. He was banned indefinitely on account of activist editing. In July 2007, after the Wikipedia ban, Moreno extended his hostility against Shepherd. Using the pseudonym of Equalizer, he posted ‘Kevin Shepherd and Robert Priddy’ on his blog circuit, repeating his earlier attempt to undermine Shepherd’s credibility as an author. By such explicit association with Priddy, Moreno clearly thought that he was identifying Shepherd as a suitable target for ‘Pro-Sai’ attack and stigma. Afterwards, the first website of Shepherd appeared in August 2007, and this included an article protesting against the hostile tactics of Moreno (see ‘Wikipedia Issues and Sathya Sai Baba’). Moreno ignored the points of protest, and instead quickly mounted a fresh attack in September. This occurred at his notorious website saisathyasai. Shepherd has described and contested the content in various online articles and features. For instance, ‘Apologist for Sathya Sai Baba: Gerald Joe Moreno’. Moreno presented himself as the victor in argument, dismissing all objections to his Pro-Sai version of events, and contemptuously denigrating Shepherd and the ex-devotees. Superficial readers were misled, lacking a due analytical faculty. Shepherd subsequently rebutted the claims of his attacker, in an update of 6 November to ‘Wikipedia Issues’. This foil was entitled ‘Kevin R. D. Shepherd in response to Gerald Joe Moreno’. The update was so strategic that Moreno did not counter, save in relation to one point only, which he misrepresented. Shepherd afterwards contradicted Moreno in extra detail. His 2008 article ‘Wikipedia, Moreno, Google’ was a thorough repudiation of the apologist conveniences. Moreno never did admit any error on his part. Instead, he pursued an elaborate SEO (Search Engine Optimization) tactic of duplicating his attacks originally appearing at saisathyasai.com in 2007. Being unable to contradict what Shepherd said, Moreno resorted to confusion by posting the same blogs over and over again at other internet locations. In October 2008, Moreno created a new attack blog that was merely a duplication of saisathyasai in relation to Shepherd. He misleadingly called this ‘Kevin Shepherd Exposed’. That subterfuge was in the same blogspot series as his so-called ‘exposures’ of ex-devotees. All this was part of an explicit campaign in the cause of Sathya Sai Baba. By cross-posting his attack articles against Shepherd, the cyberstalker was optimizing his blog ranking on Google Search results. This strategy demonstrated what several of the ex-devotees had already pointed out: Moreno was an astute manipulator of internet technology. Because Moreno had resorted to this extremist expedient, in 2009 Shepherd posted a new article entitled ‘The Internet Terrorist Gerald Joe Moreno’, revealing Moreno in his true context. Robert Priddy emailed Shepherd to say that his contribution had defeated Moreno polemic. Priddy recognized that Shepherd had achieved a standard of rational argument that the ex-devotees had not been able to express. Moreno improvised new attack blogs, but his contentions were regarded as absurd by informed readers. The problem was uninformed readers, and also sectarian interests of another kind. In December 2009, I participated as an editor on an AfD (Article for Deletion) page, complaining against the attempt to delete a new Wikipedia article on Kevin Shepherd (see ‘Wikipedia Exegesis of Simon Kidd’). One of the opposing editors resorted to the despicable measure of making links to Moreno attack blogs on the AfD page, with the evident attention of stigmatizing Shepherd. That new agent of libel was Dazedbythebell, a supporter of Meher Baba who evidenced some indication of underlying sectarian animosities. Shepherd has provided his own detailed description of the deletionist episode in a lengthy online article (see ‘Arguments For and Against Article Deletion’ and ‘If in doubt as to whether there is consensus to delete a page…’). Indeed, this is by far and away one of the longest critiques of Wikipedia that I know of. The author has provided a convenient summary at ‘Citizen Vocation and Wikipedia Misinformation’. Although Wikipedia personnel asserted that the deletion process was fair, in my opinion that is not true. There are two quite strong additional considerations. First, Kevin Shepherd was not in any respect a typical instance of self-publishing, all his books being annotated and possessing indelible associations with Cambridge University Library (via the activity of unpaid private research — see ‘Cambridge Library Phase’). I was astonished to find that one of his books has over 800 endnotes. In certain of his books, the indexing is also substantial. Secondly, the affliction suffered by Shepherd from a Wikipedia User page poses ethical questions that were very conveniently not recognized by the Wikipedia administration. The presiding administrator (Smartse) on the Shepherd AfD page admitted that he had never heard of Sathya Sai Baba or Meher Baba. In other words, he was completely ignorant of the cyberstalker campaign that was in evidence on the AfD page, and also at a disadvantage in assessing Meher Baba movement hostilities represented by the aggressive Dazedbythebell, who was so prominent in deletion. Jimmy Wales eventually deleted (or courtesy blanked) the SSS108 User page, but that event did not occur until 2012 (see ‘Jimbo Deletes SSS108 User Page’). Meanwhile, in December 2009, Gerald Joe Moreno (Equalizer) was able to crow triumphantly over the deletion of the article on Shepherd, advertising this event on his blog network with typically misleading flourishes (see ‘Wikipedia Slap from Gerald Joe Moreno’). The huge black hole in Wikipedia public relations and ethical standard was abundantly revealed. The depreciatory User page of a banned User was influential on Google until Wales intervened over two years later. In 2009, I myself was a target for Moreno attack, and merely because I defended Shepherd against extremist calumny (see ‘Attacking All Connections’). Ex-devotees said that Moreno became ever more manic in his blog output during 2009; they interpreted this development in terms of his basic frustration at the strong resistance he had encountered. Moreno arguments too frequently relied on defamation, insult, and name-calling (see ‘Hate Campaign Blogs of Gerald Joe Moreno’). The logic was superficial, even when he quoted from opposing sources. A number of Moreno blogs attempted to blacken Shepherd’s name by associating him with the more questionable beliefs and activities of some SSB ex-devotees. Shepherd’s reference to these sources never amounted to a blanket endorsement, but that made no difference to Moreno, who showed no scruple in turning the most tendentious associations to his apparent advantage. A ludicrous example of this strategy was entitled ‘Author Kevin Shepherd Endorses Psychic Trance Medium’. This deception was cross-posted on all corners of the Moreno blog network (see ‘Conny Larsson and Sathya Sai Baba’). Another puerile contrivance was ‘New Age Promoter Kevin Shepherd’ (see ‘Kevin RD Shepherd Not a New Age Promoter’). The victim eventually provided a counter blog entitled ‘Kevin RD Shepherd Not Exposed’. This has 27 entries, thus matching the number of entries on the Moreno blog which claimed to expose him. Shepherd has abundantly revealed the deceptions in sectarian apologist thinking of the extremist variety. He notably expressed sympathy with Professor Tulasi Srinivas, who was the recipient of a blog attack by Moreno in June 2010 (see ‘Tulasi Srinivas and Moreno’). The cyberstalker is said to have died soon after. Priddy has concluded that Moreno is dead, although another verdict is more cautious, saying confirmation is required. Certainly, the Moreno website saisathyasai disappeared from the Internet after the webmaster’s reported death. Many of his blogs remain visible. One of the many misleading Moreno creations is the blog ‘Comical Citations to Anonymous Scholars’, appearing in September 2007 at saisathyasai.com, and thereafter widely duplicated. I happen to know something about this blog, because I was one of the anonymous scholars mentioned. Shepherd’s references were not comical, but accurate. At that time I was still identified pseudonymously on Wikipedia. Shepherd had therefore inevitably used my pseudonym (The Communicator). Moreno claimed that Shepherd was ‘naive’ and ‘gullible’ in accepting my credentials and those of another pseudonymous editor (the abovementioned Jedermann). Shepherd had noticed my comments in a print-out of the lengthy discussion page at the HB article. He had formerly heard of me via the author Stephen Castro, to whom I had sent copies of relevant medical correspondence in the 1990s (see ‘Joe Moreno Insults Academics on Wikipedia’). Moreno wanted to believe that The Communicator had no academic context. He even stated that this instance indicated ‘some sort of collaborated scheming’, which is another error. In support of this false contention, his update of 6 October asserted that I had altered my Wikipedia User page to include information (about an academic background) that Shepherd had supplied. Moreno wrongly claimed that this action must have been at the instigation of Shepherd. I did indeed update my User page to include relevant details of academic career, but that was nothing to do with Shepherd, who was the victim of cyberstalker assumption. My pseudonymous status remained a problem, but I subsequently disclosed my real name on Wikipedia in 2009. Most Wikipedia editors were pseudonymous, and false names were not actually considered a problem in this web milieu. In contrast, I take the view that the difference between pseudonyms and real name editorship is an ethical issue to be duly confronted. Reverting to Moreno and ‘anonymous scholars’, he made a similar error in his evaluation of the situation concerning Jedermann. He accused Shepherd (or Jedermann) of inventing the academic status here involved, meaning the credential of a Ph.D. Moreno more or less pronounced this to be a fiction. In actual fact, Dr. M. E. Dean, alias Jedermann, had declared his real name identity on Citizendium in March 2007, several months before Moreno made his significantly erroneous accusation. Dr. Dean had an active role in a British university. Shepherd subsequently pointed out the error of Moreno, but the facts were typically ignored by the cyberstalker (see ‘Serious Citations Are Not Comical’). Moreno was anxious to dismiss the ‘anonymous scholars’ because they had supported Shepherd. Therefore they must be wrong, and acting in a nefarious manner. In Moreno’s argument, Shepherd could not possibly be of any significance, and therefore his supporters were fit only for derision. This angle is confirmed by Moreno’s subsequent negative reaction upon learning that I was a senior research officer at a well known Australian university. That role was similarly despised by the vehement cyberstalker, who paraded my image and supplied a mocking description. This did serve to illustrate that Moreno was an internet extremist, as Shepherd and the ex-devotees had warned. Kevin Shepherd was completely innocent of any fabrication in relation to Jedermann or The Communicator. Yet the Moreno stigma of deceit was reapplied by Wikipedia personnel on the AfD page which caused removal of the article on Shepherd from Wikipedia. The Meher Baba supporter Dazedbythebell explicitly referred to this stigma on the AfD page, himself having placed there some links to misleading and libellous Moreno blogs. Dazedbythebell clearly endorsed the Moreno stigma, which I believe was influential to a substantial degree in this supposedly fair play of the deletionists. I have not witnessed such malpractice in any other channel. This was one of the reasons why I supported Shepherd so strongly, although outnumbered by persons of a different disposition. The presiding administrator (Smartse) was completely unconcerned with any due investigation of the context attaching to Moreno attack blogs. He was a biologist, not an ethicist. Smartse believed that only his judgment, and that of entities like Dazedbythebell, could be the effective standard in operation (see ‘Smartse and NPOV Abuse’). This entry was posted on April 5, 2015 at 1:08 am and is filed under Education, Technology. You can follow any responses to this entry through the RSS 2.0 feed. Responses are currently closed, but you can trackback from your own site.